Babita’s uses her intelligence and makes colleagues do their duty. She attends each colleague and encourages them to hurry up and finish their target before their shift ends for the day. Aashayen Khile Dil Ki…Song.. plays in the background. Once bell rings at 5 p.m., everyone get up midway and walk away without finishing their work. Satnam says nobody works here after 5 and even god cannot make them work, she did not reaches even 50% target of 100 dresses and can try for 200 dresses tomorrow. Babita feeling leg pain after days’ hard work writes down her achieved target and walks towards home. Minnie eagerly waiting for her at home thinks why she did not return even after 1 hour. Babita returns home limping. Minnie excitedly hugs her and asks how was her first day at work, etc. She says she forgot to ask her food and asks her to freshen up while she gets snacks for her. Dadaji tells Ashok and Meeta that Babita stayed in this house for 17 years and was part of their lives, now she is not here anymore, so he has decided to get Ashok and Meeta married. Lovely asks how can he. Dadaji says it is his and Biji’s collective decision to shut society’s mouth. He asks Meeta if she will inform her parents and family or should he. She nervously says they will not pick her phone as they hate her for going behind a married man and consider Ashok as useless, so she wants Ashok to establish his business and properly ask her hand from her parents. Dadaji praises that after Babita, only Meeta can be his bahu. Minnie serves tea snacks to Babita and asks how was her experience at first day of her job. Babita reminisces Satnam’s taunts and him troubling her, etc., and says it was a simple job and she just has to order colleagues and get work done. Minnie says she was worried, but she is happy now seeing Babita’s confidence. Babita asks if she had gone to college and what happened to her admission process. Minnie nervously says principal had already left when she went, still there is a lot of time. Babita says midterm exams have already started. Minnie says she did not like college and will try somewhere telse. Babita asks why she told earlier that it is a good college and she wants to study there. Minnie says she was joking. Babita says good at least her day went well. Minnie asks what does she mean, if her day did not go well. Babita says it went well and looks at her foot injury. Minnie messages Preet not to inform Babita or Hanuman about her college admission cancellation. Preet says they cannot hide for long..
Precap: Minnie tells Hanuman that supervisor’s job is very easy and one has to just order sitting at one place. Hanuman asks if her mummy said this. Minnie walks into Babita’s room and sees her applying ointment on her injured foot. 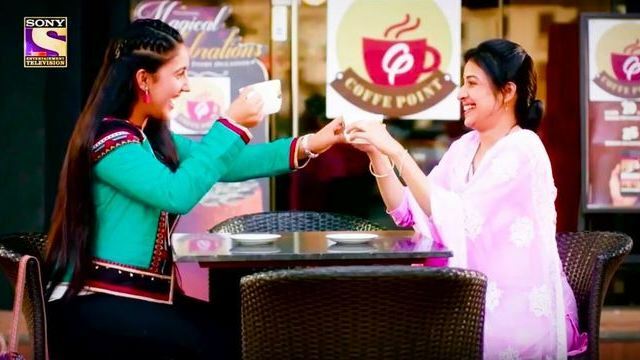 The post Patiala Babes 4th March 2019 Written Episode Update: Babita’s Good Start At Work appeared first on Telly Updates.